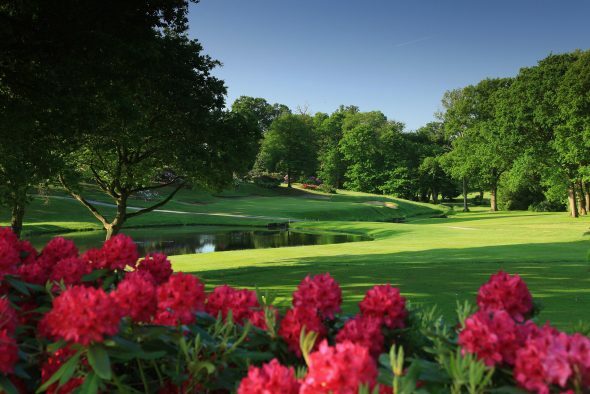 A trip to the 2017 US Masters, worth £17,000, will be up for grabs at Stoke Park Country Club, Spa & Hotel, next month, when visitors participate in a special event to relaunch the historic Colt course at the two five-AA Red Star golf club. During the winter, every bunker on the Colt course – the first nine holes of the historic 27-hole layout – underwent major renovation to both shape and size. The renowned strategic positioning of the bunkers remains, however, and a group of invited golfers will have the chance to see the changes for themselves on May 19. What’s more, when they play the iconic seventh hole – which was the inspiration for the original 16th hole at Augusta National, home of the US Masters – there will be a £17,000 prize up for grabs for anybody scoring a hole-in-one: a trip to next year’s US Masters. The prize, for two people, includes return flights from Heathrow to Atlanta; de-luxe round-trip transfers from Atlanta Airport to Augusta; five nights’ B&B accommodation; entry to all four days of the Masters, with an official Masters’ spectator chair for prime-viewing location; and a complimentary shuttle between the hotel and the golf club. Stoke Park’s director of golf, Stuart Collier – who attended this year’s Masters to see England’s Danny Willett secure the covered Green Jacket – explained: “The Masters is a unique event in golf’s calendar – arguably in sport altogether – and we’re delighted to be able to offer this rare opportunity to win a trip to see the whole event. “Mind you, anybody winning it will have earned it. The seventh hole, a 172-yard, par three, requires a carry of 153 yards – some of it over water – to the front of a green angled diagonally on the line of flight and set into a slope, with bunkers at the back; while, at the front, it falls away sharply down to the lake. The work on the opening nine Colt holes was part of a seven-figure facelift of Stoke Park’s 27 holes, which were created by the legendary – and eponymous – designer Harry Colt in 1908, and the nine-hole stretch reopens to members and visitors later this month, although holes 10-27 have been playable throughout the winter. One of the best ways to experience the re-opened course is with Stoke Park’s exclusive Harry Colt break, which includes one night’s B&B accommodation in a Superior Room; a three-course dinner in the three AA rosette Humphry’s fine dining restaurant; and 18 holes of golf per person, which costs from £309. Stoke Park Country Club, Spa & Hotel is one of just two five-AA Red Star golf clubs in England and the historic land on which it stands is recorded in the Domesday Book of 1086. It was awarded the accolade of ‘Ultimate Members Club’ at the annual 59club Service Excellence Awards last year. The historic course played host to the PGA Matchplay in 1910 and, even more famously, the golf match between Sean Connery’s James Bond and Auric Goldfinger, in the 1964 film,Goldfinger. It also has a thriving golf club with around 800 active members.